I am often asked what my favourite book is. It is one of the most impossible questions to answer. How would you even begin? I could reel off twenty books and struggle to pick a favourite. Huxley, Bulgakov, Seuss, Lewycka, Dahl, Manton, Carroll, Dante, Kurkov. It is a very interesting question though. Titles that I have answered in the past have since been trumped and wouldn’t hit my top ten now, whilst others that I may have dismissed in the past are now potentials for top spot. When it comes to reading with little J there is one particular book that currently stands out above all the rest. 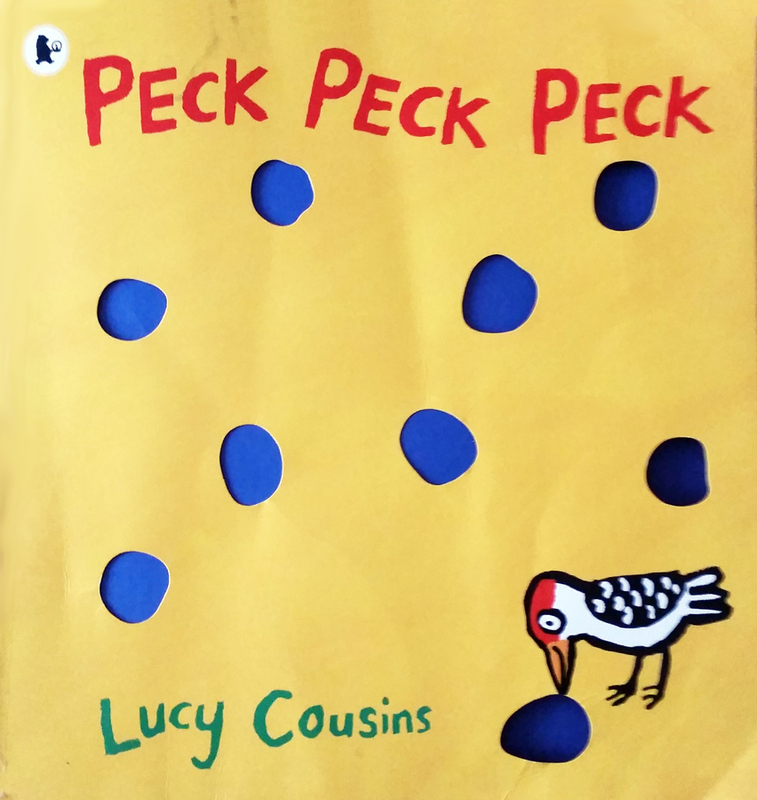 From the very first read on a sodden rainy day at home (the first of maybe eight reads that day) to Little J's first holiday in Shropshire, to ten months on, this morning ‘Peck, Peck, Peck’ by Lucy Cousins is without a doubt top of the pecking (I’m not sorry) order. It is beautifully illustrated with the chunkiest of line-work and a limited colour palette set off against the perfectly flowing rhyming text. With the added enjoyment of peck, peck, peck-ing holes along with the little woodpecker, replicating the enjoyment I still have when reading ‘The Very Hungry Caterpillar’ and seeing Little J trace his finger along the food eaten on the Saturday. That page is still one of my strongest memories from reading as a young child and it seems to be a universal thing. What is it about that page? 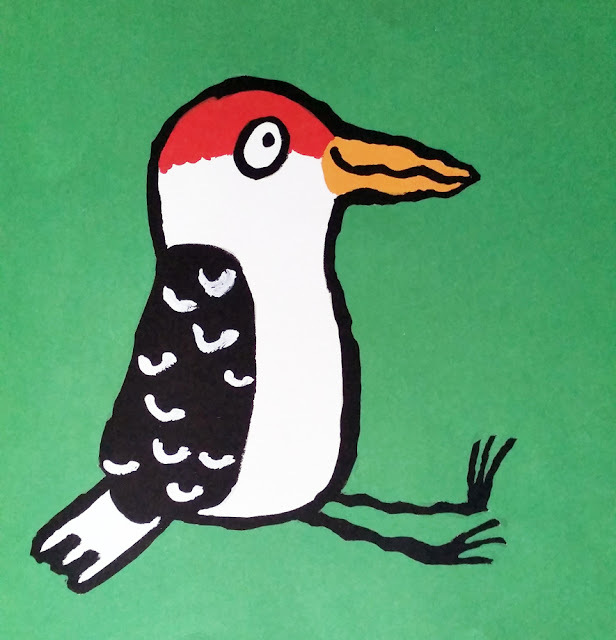 Little J simply cannot look at the page of a ‘tired and rather dizzy’ little woodpecker and not burst into laughter. I love his restless anticipation and excitement as we approach that page. It truly is a delightful read every time. With ’Peck, Peck’ Peck’ being part of our daily routine as much as brushing our teeth is, I would have to put my neck out on this and say that I do currently have a favourite book.